Hello! 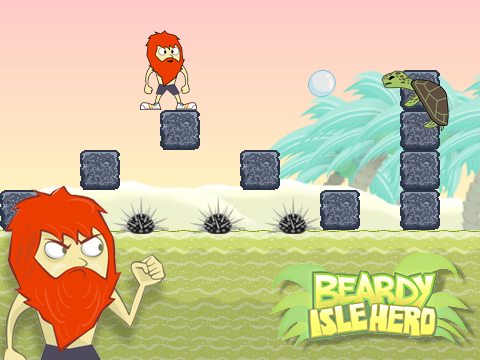 Beardy Isle Hero is an old-school style platform game where you advance from left to right and stomp on enemies to defeat them. The twist here is the limited mid-air jumps. Every time you destroy an enemy you earn a mid-air jump, you can have up to three, and they will be all gone if you land on the ground. There are tricky jumps, like the one shown below, that are necessary to collect all stars. There are 10 stars per level, some are very tricky to get! Stars will allow you to unlock new levels. This is a very aerial, fast-paced game based on timing and precision! You can clear some levels without touching the ground, and only if you are clever enough, you will get all the stars. Definitively pretty fun and highly replayable. The game just recently got Greenlit on Steam and we are working to improve and expand it a little bit before launching it. I'll be updating some progress here, stay tuned, thanks for reading! No idea, man. I had the idea that Steam suggested a price for the game, but it will be on the cheaper side of the spectrum, sub $5, for sure. As it isn't pretty long, but challenging, highly replayable and fun, like most games from the past. 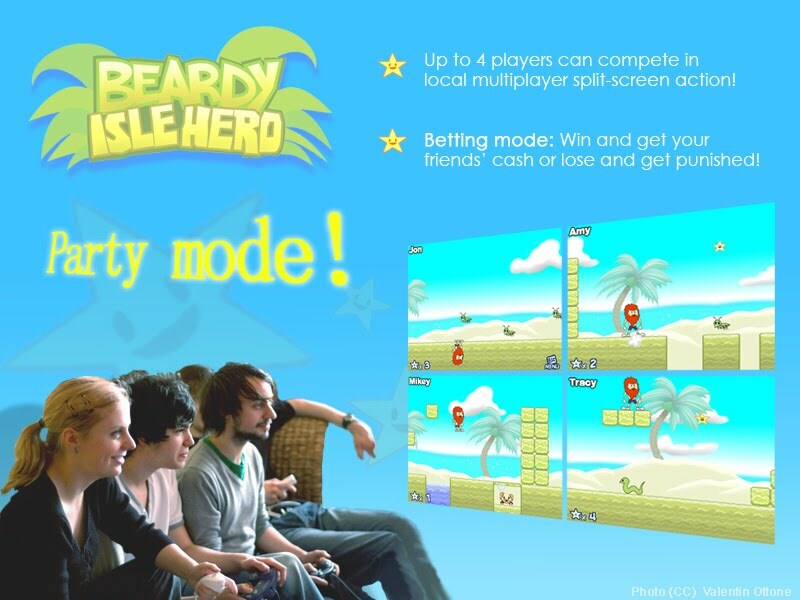 We are gonna add a Party Mode where you can play with your friends locally in split screen, like we used to when the N64 was around. Optionally, you can enable the Betting Mode, where you can choose a punishment for the loser or each player can put some money on the table for the winner to take it all. The question here is, do you still gather with friends to play games? or it's all about online gaming nowadays? Very cool idea! How do you intend on expanding the game exactly? the game looks almost done for a devlog. The main complain we got is that the game was too short! So we are adding more maps, levels, enemies, obstacles and this new multiplayer mode. If we get or are given more ideas we will see if we can add them too.